The McGraw Group provides expert Commercial Real Estate advisory services to Property Owners, Buyers, Investors and Businesses in the Boise area and throughout Idaho. With over 25 years of experience, we now manage and list properties for a wide range of clients. Our team of Brokers and Agents are highly regarded for their expertise, experience and unparalleled service. We measure our success on exceeding the expectations of our clients and focus on building long lasting relationship. Because of our experience and passion for Commercial Real Estate, we have relationships with Brokers, Lenders, and Appraisers from all over the country. This gives our clients access to a large network of skilled commercial real estate professionals, which results in responsive service and more transactions closed. 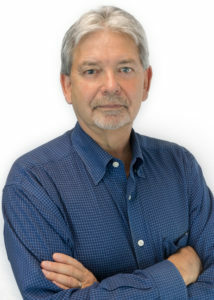 Rick McGraw is a Commercial Broker licensed with Coldwell Banker/ Tomlinson Group and has been an active Real Estate Agent and Broker since 1991. His background includes ownership of The Real Estate Group a (60) Agent Residential and Commercial Brokerage from 1993 to 2008. Rick currently maintains an Inventory of over $30 million in Commercial Real Estate Listings including Office, Retail, Industrial, Multi-Family and Land. CCIM Candidate & will receive the CCIM Designation in 2015. With 25 years of experience as an entrepreneur, managing and marketing her own businesses, Chrissy takes a holistic, client-driven approach to commercial real estate. She has been in the Boise commercial real estate market since 2015 working with clients leasing, purchasing, or selling Office, Retail, Industrial, Multi-Family and Land properties with an average annual team sales volume of $20,000,000. Chrissy consults with clients through the lens of understanding their short and long-term goals to support overall profit and growth objectives, and their investment strategies. Chrissy’s entrepreneurial mindset gives her insight into understanding client start-up needs like location, square footage, space planning, connectivity, and growing annual revenue through effective business planning. She has relationships with key industry leaders, contractors, property managers and real estate agents throughout the Treasure Valley, providing her clients with an optimal network of potential business relationships. She is excited to be a part of Boise’s growth, the growth of her clients’ businesses, investment portfolios, and the growth of a company with a proven track record for getting deals done. 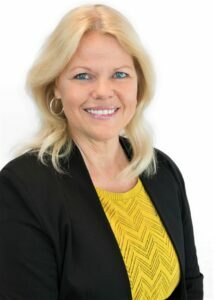 Amy joined the McGraw group as Rick’s executive assistant in 2018. Prior to joining the team, Amy held a Colorado Real Estate License for 20 years where she worked with residential clients from all walks of life. The McGraw group drew her in with their diversity, drive, and focus on building client relationships, all fundamental parts of her personal real estate values. Amy serves as the right hand for the McGraw Group in administrative and marketing areas and as a transaction coordinator. She takes pride in representing the team and acting as a spokesperson. She moved to the Boise area to be with her daughter and grandchildren and is proud to say that she’s part of the Treasure Valley’s future in both her personal and professional lives.